Welcome to Express 3, the new delivery service from Yewdale. Express 3 is our fast track delivery service set up to cater for the demands of the shading industry. If you are eligible for the service we promise to get your order to you within 3 hours of you placing it with us, or at some preferred unearthly hour – whichever suits you better. Not only will you get it promptly, we’ll also make sure that extra special care is taken at every step of the process to ensure that the order you place reaches you as fresh as it leaves us. Why wait until tomorrow when you can have goods delivered in 3 hours? You can use this service 24/7. Your goods can even reach you for delivery at 5am! All 3 hour deliveries use very little packaging so theres less for you to unwrap and dispose of, meaning less work for you. 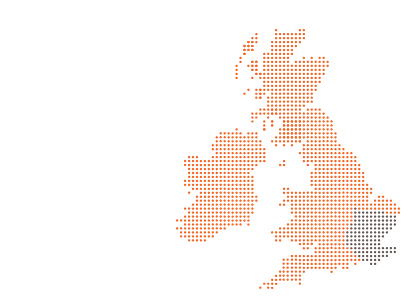 This service is tailored to support you with your manufacturing requirements. We can deliver anything from small components to large fabric rolls. We can even deliver 5 metre lengths! This service is available to your business free of charge when you order over £500 of components or fabric. He gets your orders to your location within 3 hours of acknowledgment with exceptional attention to care. Your goods will be loaded onto (and off) the van by hand with exceptional care. They'll be delivered directly to wherever you need them-even if it's upstairs. 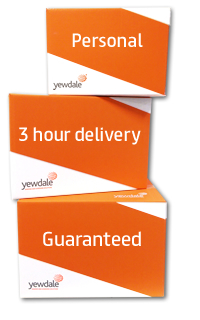 With direct deliveries from Yewdale, Dave removes the risk of your goods being misrouted or damaged by third party couriers. you can have it in 3 hours?